Introducing the 2018 Topcoder MVP Members! We’re excited to announce our first-ever and new 2018 Topcoder MVP Members! What is Topcoder MVP? Well, this is a new program to replace and elevate the Topcoder Community Advisory Board (CAB). The Topcoder MVP program is a prestigious group of elite Topcoder members who represent our community. The program provides our MVPs opportunities to enjoy special perks, help improve the community, and grow professionally. The nominations for 2018 were took place from Jan 4 to Jan 14, 2018. In such a short time, the Topcoder community team received many amazing nominations. This was a very tough decision for the team to make, selecting from many qualified nominations into 11 Topcoder MVP members. Like one of Topcoder Admin said that if possible she wanted to pick everyone as a Topcoder MVP. Unfortunately, due to limited number of spots only few are selected. 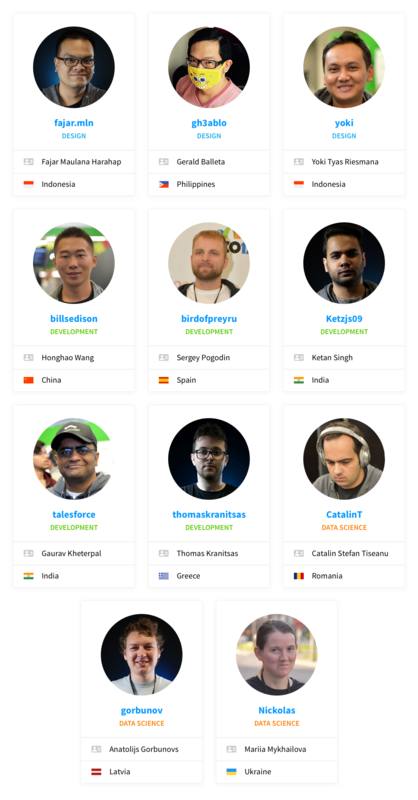 So, let’s meet our 11 Topcoder MVPs! 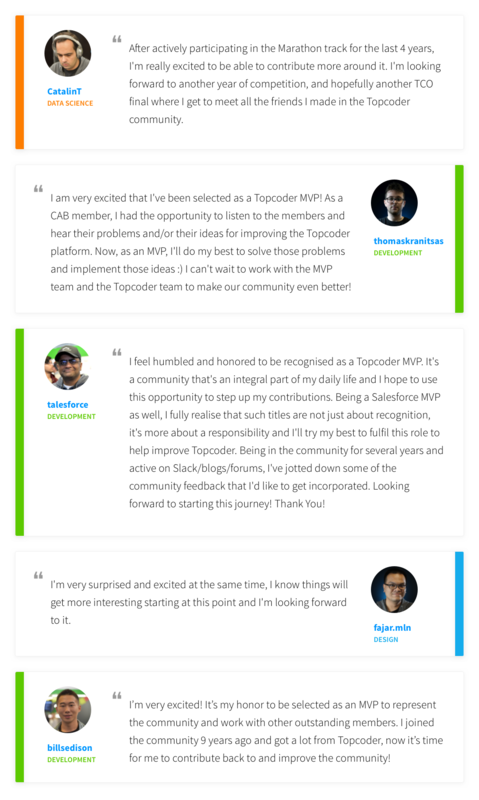 Here are some thoughts on why each MVP was nominated by Topcoder members when asked which MVP quality they best represented. “Hard work: while he is working on the support side now, helping Tony, he is always answering fast on Slack to our issues, fixing them and then notifying back, all while keeping a positive attitude. Congratulations and good luck for our new MVP members! Find more about Topcoder MVP Program. eriantoongko is a designer and art-addict from Indonesia. He likes to watch movies and maintain his nature tanks and garden apart from the design world.